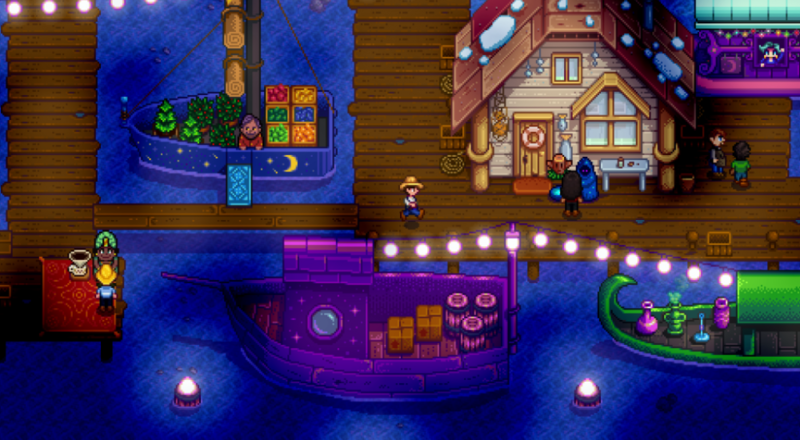 In a blog post earlier this week, Eric Barone (aka ConcernedApe) spread the good word that the co-op update for the Nintendo Switch version of Stardew Valley would be available to download on Wednesday, the 12th (i.e., yesterday). Well yesterday arrived and with it, the co-op patch. Now you and up to three friends can all work a farm together, romance the local populous, and explore some caverns. This is the first console to receive the co-op update just a few months after it dropped onto the PC. This update also includes some new content that was patched into the PC version, including a new event called the Night Market that visits during the Winter and some other secrets besides. The Switch version also allows for four player co-op via local wireless LAN so if you have some friends over with their own Switch consoles you can play together. It's worth noting that a Nintendo Switch Online account is required to play the game online. Stardew Valley with the four player co-op update is available on PC and Switch. The update will be coming to the PlayStation 4 and Xbox One at some point, but for now, they're single-player only. Page created in 0.8065 seconds.